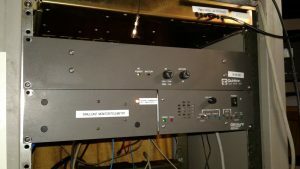 Doing the engineering work on a multi-site, simulcast paging system necessitates keeping a check on the operational status of several transmitters which are — by design — geographically spread out all over the place. 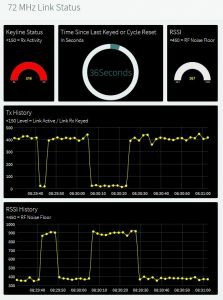 Anything which can automate some of the process of testing (and, ideally, provide remote, real-time monitoring) is a huge help. Not only does it save troubleshooting time (many problems can be pinpointed from here in the lab before even going to a site to troubleshoot), but it also minimizes potential downtime by automatically alerting us if certain problems ever do occur. It’s all about providing the most reliable service possible, while making any need repairs or system adjustments in the shortest amount of time possible. 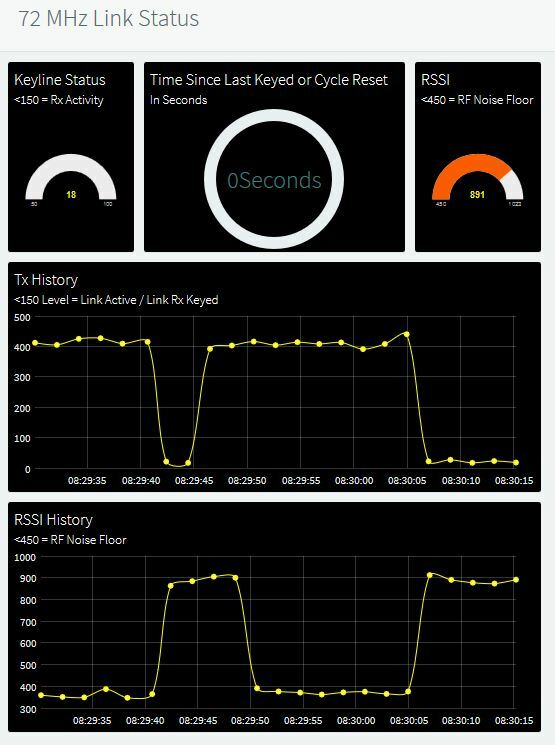 Figure 2: Online view of telemetry and status indicators during simulcast signal activity. 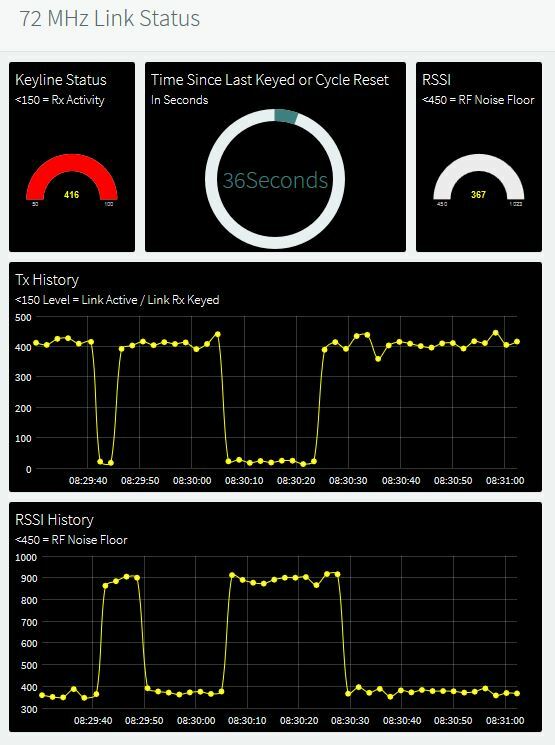 Includes up to an hour of continuous timeline graphing of the “Key” voltage/status and the RSSI level, which starts graphing whenever I load or refresh the telemetry page. After an hour, it continues go graph both timelines, with the oldest activity simply rolling off to the left. If needed, I can quickly modify the one hour timeline to whatever time span suits my needs. provides me with internet-based, real-time monitoring of the operation of the link transmitter system (the backbone of the whole paging operation) AND would automatically send a text alert to my cell phone should there be no simulcast/link signal activity for a certain amount of time (the paging system is set to send an automatic “test” messages to selected pagers at given intervals.) Not wanting to tie up the Quintron/G.E. radio, I opted for plan-B and grabbed a Glenayre link receiver radio to use instead. The Glenayre RL-72 turned out to be a better choice anyway. 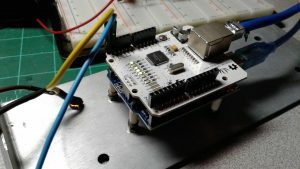 It has the added benefit of an analog RSSI (Received Signal Strength Indicator) output on its back panel connector. 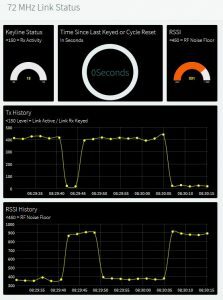 That gave me the ability to add the RSSI to the information displayed on the IoT/telemetry dashboard. graph without a corresponding dip on the keyline graph would tell me that either there was some sort of co-channel interference signal received, or there might be some sort of distortion in the signal from the simulcast transmitter which would call for immediate investigation. Figure 4: holes drilled, with bolts and stand-offs placed for mounting the Arduino and Ethernet shield. Figure 5: Arduino Uno R3 with Ethernet shield, attached to mounting bolts. The LED can be seen to the left of the Arduino assembly. 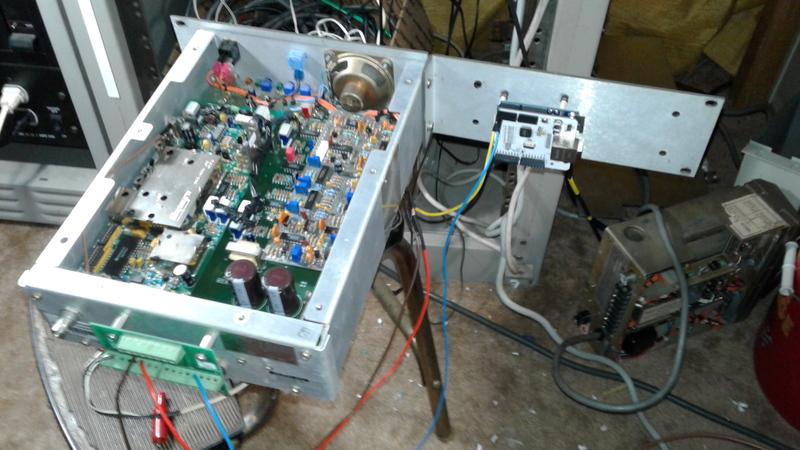 Figure 6: Assembled system, ready to be installed in the test equipment rack. 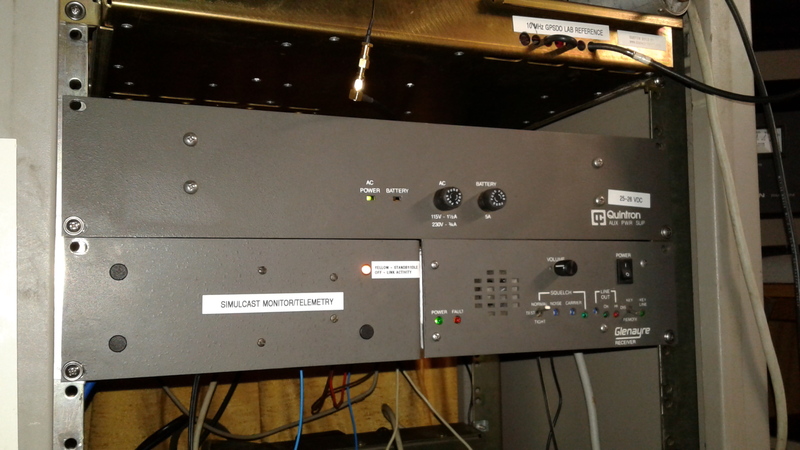 Figure 7: Glenayre RL-72 Link Radio with added Arduino-based internet accessible telemetry, mounted underneath its accompanying DC power supply here in the lab. Mission accomplished. At the time of this post, the only work remaining is to clean up all the mess, gather up all the tools, and sit back and let this little creation do its thing. Oh, and find a really obnoxious sounding ringtone/alert tone that will wake me up in the event this thing ever does end up detecting a problem at night, etc. Those factory sound files on cell phones don’t even phase me while I’m sleeping. One of life’s nagging, still unanswered questions: Why is it that that the cell phone manufacturers equip their phones with some of the most annoying autocorrect and predictive text functions, but they can’t include alert tones that wouldn’t get your attention if you had earbuds hooked up and stuck in your ears?